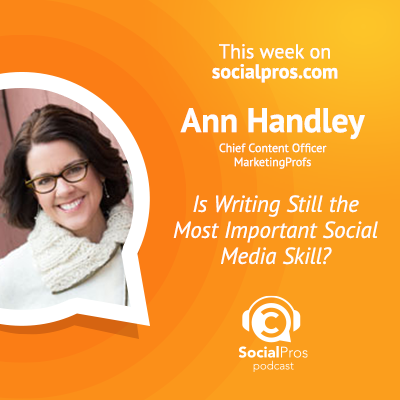 September's Social Pros ask What Story Are You Telling? 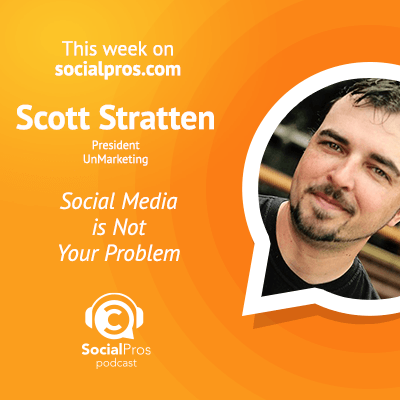 In September, the Social Pros Podcast talked with Google competitor DuckDuckGo; marketing experts MarketingProfs; Schaefer Marketing Solutions marketing strategy consultants; and the author, blogger, and podcaster behind UnMarketing. 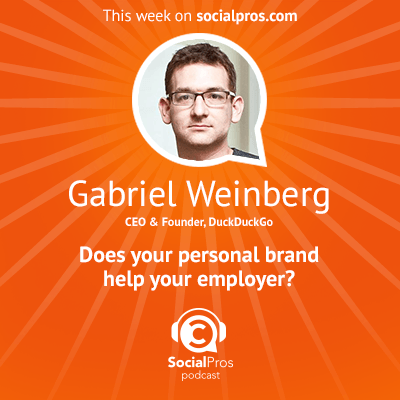 As always, these Social Pros bring a variety of experience to the table to share how their teams operate, the solutions to the various problems they face on a regular basis, and how they anticipate social media will change (or not) going forward. But this month’s Pros have one thing in common: They all focus on the power of brand storytelling, both personally and professionally. When he started talking to business owners about where their businesses had garnered success, Gabriel noticed something he dubbed “the miracle function.” Startups would claim that they had a great idea, a miracle happened, and then suddenly they were successful. But what was that miracle? Did it look the same for everyone? He wanted to unpack this idea and ended up using his findings to write a book with Justin Mares called Traction: A Startup Guide to Getting Customers. For Gabriel, being a social pro means being willing to try out different tactics. In fact, this is completely necessary to success. Sticking to the same tactics simply because you know them, and hoping those will continue to work for your brand forever, will eventually lead to failure. The social media landscape is always changing, so the only way to stay on top of that is to keep testing different ideas and tactics. “You really don’t know ahead of time which is going to succeed and which isn’t,” he says. Embrace new technologies and platforms with a grain of salt: newer doesn’t always mean better. And when you’re experimenting, make sure to measure your results. Comparing numbers is the only way to see what’s working and what isn’t. Always passionate about great storytelling, Ann came out with a book last month called Everybody Writes: Your Go-To Guide to Creating Ridiculously Good Content. Even as visual media becomes more prevalent, writing is as important as ever. You can’t just post a photo; marketers have to always be thinking about the larger context of the stories they’re telling. What is your brand all about? What does it mean to be a follower of your brand? Who do your followers want to be, and who are you helping them become? Everyone writing doesn’t mean everyone is a novelist. Instead, it means that everyone uses their writing to tell a story. With that in mind, what story are you telling? To that effect, Ann wants us all to pay closer attention to the words we use to represent ourselves online: as brands and as individuals. “Your words are your proxy” in the online world. Choose them with more consideration than you do now, and pick up Ann’s book to find out how to better tell your story, no matter what type of writing you’re doing. Mark literally wrote the book on Twitter. While he isn’t officially associated with the company, his book The Tao of Twitter has been the unofficial guidebook of the social media platform for years. So who better to address the recent talks of Twitter introducing an algorithm to sort tweets than the master himself? The algorithm would, hypothetically, sort tweets to show the most relevant news. And this could lead to more reliable reach. The platforms are going to shift. Of course, those of us working in social know that when we build a following on earned media like Twitter or Facebook, we are essentially building on someone else’s land. And that someone else makes all the rules. We need to keep in mind the fact that Twitter is a public company, so they have to keep showing growth quarter after quarter. A foundational understanding of consumer behavior, and of course a holistic perspective, will allow any social pro to weather these changes with aplomb. Regardless of the corporate structure within your company, the consumer only sees one brand. 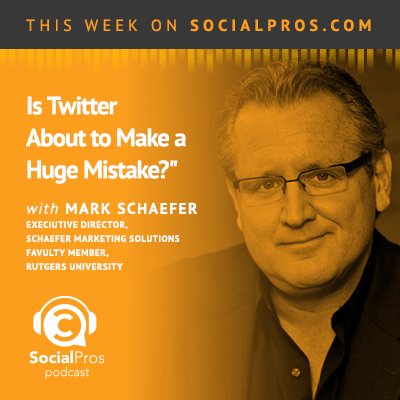 What happens when someone asks your Twitter handle for help? What about if they share a negative comment on a Facebook photo? To a customer in that moment, they’ve reached out to you, and you rebuffed them. Not a great experience, and not a way to win fans for life. Be careful what you do and say. Instead, to give your customers the best experience possible, unsilo your company. Make sure that your social media team is empowered to answer customer service questions, and make sure that your customer service team knows how to answer questions on social media! Scott says that the best thing you can do is make sure that whenever a customer reaches out to you, your brand can react quickly and correctly.